The year 2000 was the fourth centenary of the birth of Pedro Calderon de la Barca, such was commemorated with expositions, congresses, commemorative editions, as it corresponds to our main Baroque dramaturge and part of the universal canon. His theatre I part of the human patrimony being proof of such the number of translations to the main languages and the repeated theatre representations – both in and out of Spain. The books of Calderon de la Barca contain a plurality and variety of levels and registers that go from the deepest philosophical drama and ambitious political tragedy and the power of plot comedy – in which he even makes a mock of his own theatre system or his most serious dramas – to the complex world of the "entremeses" and "mojigangas" laughter, without forgetting the symbolic monument of singular beauty that are his "autos sacramentales". He had also the luck to coincide with he who took the paint to the highest point of perfection: Velazquez. "Secreto a voces" is one of the most important and known comedies of Calderon de la Barca. An outstanding and highlighted example of a play with a complicated plot as it introduces the reader in the passionate world of deceit, feint misunderstandings… Due to love it is very well constructed, with an action rhythm and a scenic rhythm that charm the spectator of today with protagonists capable of achieving what they aim. As a summary, a nice love comedy, with its plays with complicated plots, its intrigues, its deceits, its lies… that will end happily, and with a nice verse of he who has been one of the main writers of the Baroque. Inside the same type of plays with complicated plots, comedies genre, "La DeMicha de la Voz" shows us the best Calderon of complicated dramatic intrigues theatre, with love crossings, misunderstandings, amazing circumstances.... that were so popular in his century, and are still liked today, also in various films. Theatricality that captivates with its complex mechanisms and memorable characters such as Beatriz, whose ability to charm causes him continuous problems, as title of the comedy indicates. 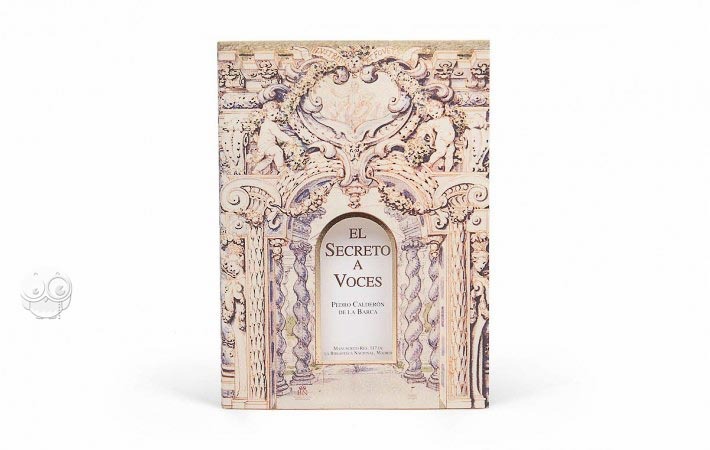 El Secreto a Voces -- Calderón de la Barca: “El secreto a voces”. 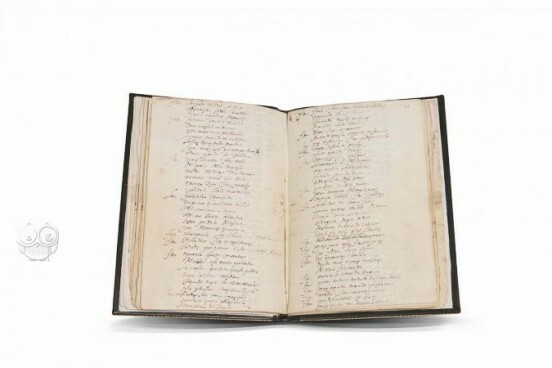 Manuscript book on paper − 22.4 × 16.3 cm − 116 pp. 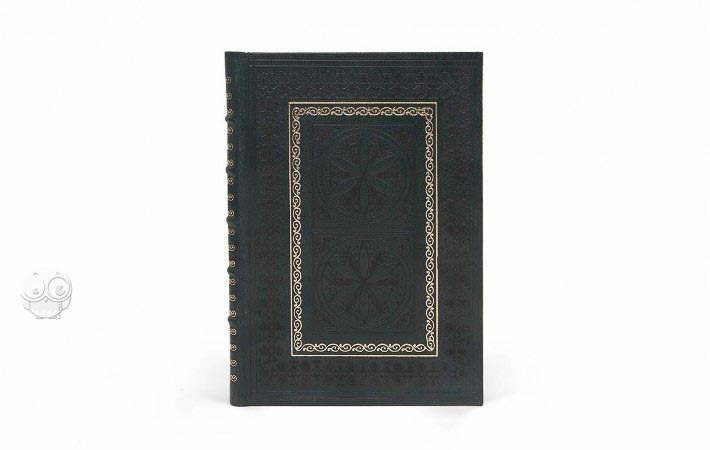 Full-size color reproduction of the entire original document, El Secreto a Voces & La Desdicha de la Voz of Pedro Calderon de la Barca: the facsimile attempts to replicate the look-and-feel and physical features of the original document; pages are trimmed according to the original format; the binding might not be consistent with the current document binding. Hand sewn. 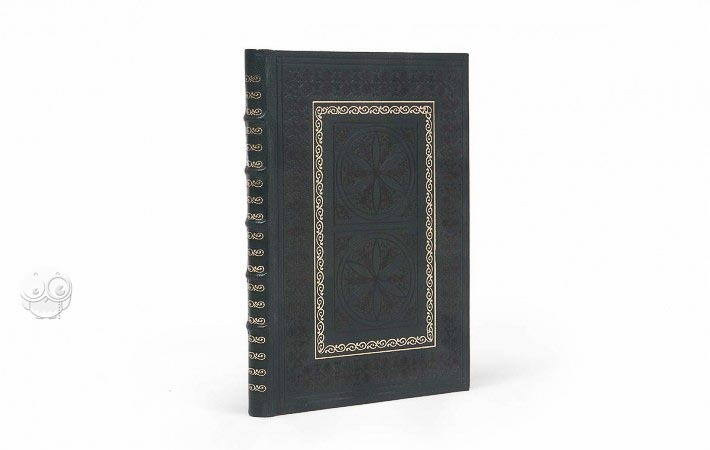 Bound in goatskin, printed in two colors (black and gold).